Welcome to Mistic Mountain Appaloosas! We are proud to be breeders of quality Appaloosas with color, size, conformation, intelligence, athletic ability, and super disposition plus from classic bloodlines. 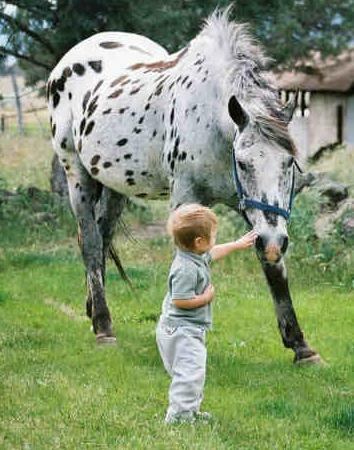 Remember that great Appaloosa you owned as a kid, or that you rode at your grandparents farm, that would do anything, or go anywhere you asked? People are always asking, "Where did those Appaloosas go?" Well those Appaloosas are still around and WE'VE got them! Come on in and check them out! We specialize in several types of black and white athletes. Some are suitable for disciplines such as Reining and Cutting, and most are suitable for Sporthorse Disciplines such as Dressage and Hunter/Jumper due to their fluid and extended movement.....not to mention just all purpose family horses for trail, games, fun and life long friends. 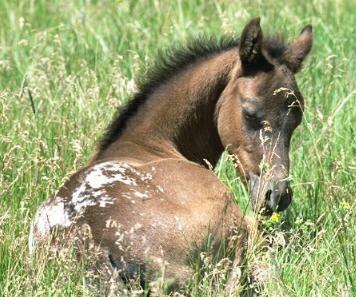 Breeding Appaloosa to Appaloosa we are going back to the future by striving to follow in the footsteps of the Nez Perce Indians to create a strong, smart, sure-footed, easily trainable companion that anyone can ride. Boasting some up-close, well known old names like Red Eagle F209, Storm Cloud F F1644, Patchy F416, Sundance F500, the Ghost Wind Stallions, Bear Paw F1376, Morgan's Leopard F437, Top Hat H, Wapiti and more. And most, ultimately tracing back 10 times or more to Knobby - a true descendant of the Nez Perce herd. In addition we are attempting to preserve and protect the "True" Appaloosa by utilizing some of the purest Appaloosa bloodlines available today. Our horses are 100% Appaloosa at the 3rd and even the 4th generation. 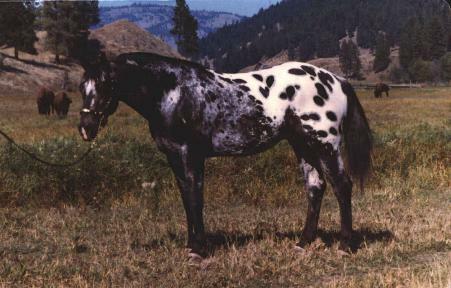 Best estimates are that there are only approximately 2000 Appaloosas in the WORLD with this amount or more of "pure" Appaloosa blood. These horses are truly rare. Breeding only a couple of foals a year to be reserved for selected individuals. Find out what the Nez Perce knew: Appaloosas can do ANYTHING! Own an Appaloosa and ride a LEGEND! Come and stroll through our site and meet our four-legged family. You will see beautiful and refined stallions, mares and foals. Foundation is no longer synonymous with ugly. Thank you for visiting us. Enjoy your stay and let us know what you think. Please sign our guestbook. HorseySites.Com - The Horse Lover's Online Directory! If you are looking for a horse-related website, this is a great place to start. We're a resourceful directory with a personal touch! owned by Mistic Mountain Appaloosas. Mistic Mountain Appaloosas - Kathy Cullison. 6038 Frontier Rd., Montague, CA 96064 530-340-0366 Email: mmappys@gmail.com.